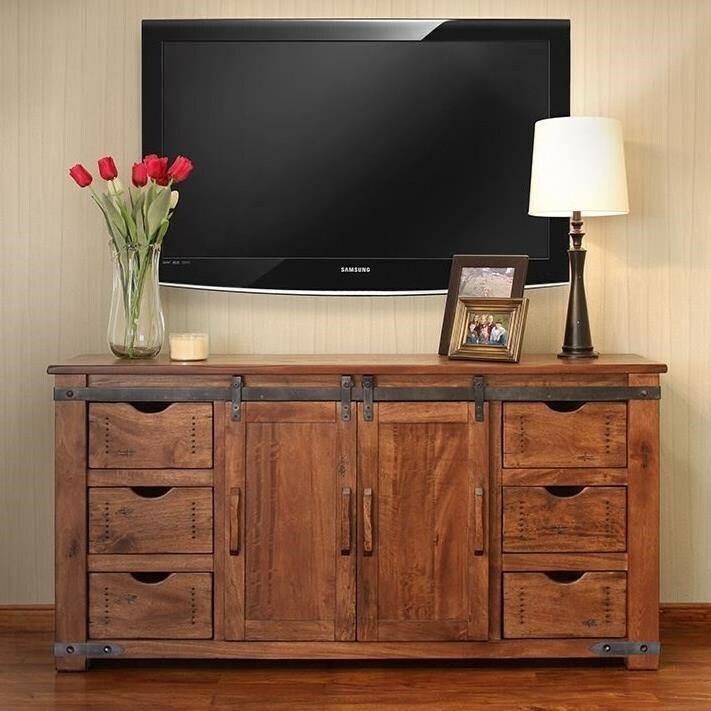 Give your entertainment space or living room a rustic update with this TV stand. 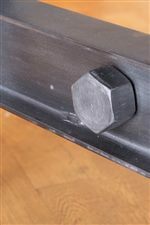 Crafted of solid Parota woods with iron accents, this TV stand exudes industrial style. A clear finish lets the natural beauty of the wood shine through, while the sliding door feature adds a surprising element of style and function. Six small tray drawers and two adjustable/removable shelves promise convenient storage space, and cord access holes on the back make it easy to set up your devices. The Parota 70" TV Stand with 6 Drawers by International Furniture Direct at Zak's Home in the Tri-Cities, Johnson City, Tennessee area. Product availability may vary. Contact us for the most current availability on this product. 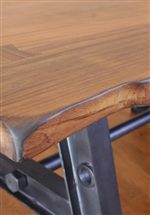 The Parota collection is a great option if you are looking for Rustic Industrial furniture in the Tri-Cities, Johnson City, Tennessee area. Browse other items in the Parota collection from Zak's Home in the Tri-Cities, Johnson City, Tennessee area.